Deliciously Savvy received product and/or compensation in exchange for an honest and unbiased review and all opinions are 100% my own. This post contains affiliate links and I may make a small commission used to support this blog if the product is ordered via the links in this post. Thanks for stopping by and enjoy! 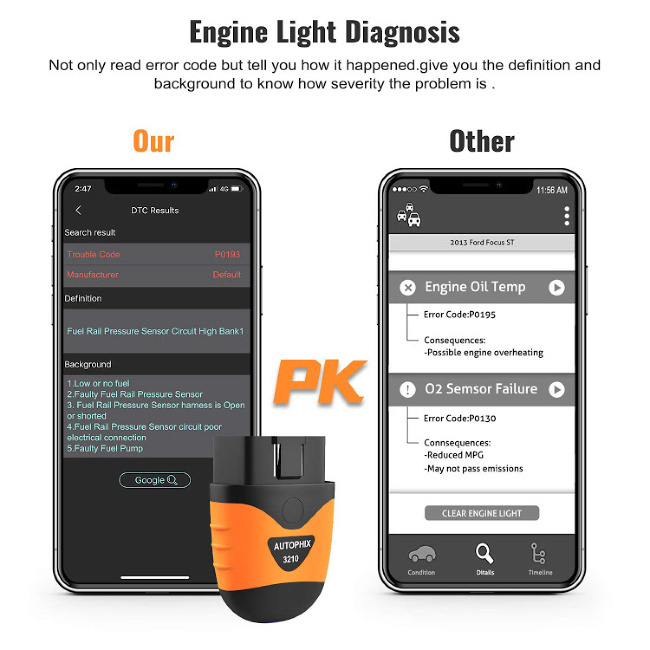 I am super excited to share this amazing little gadget with you all as I believe that this is an item that every household should have in the event they have an issue with their vehicle(s). 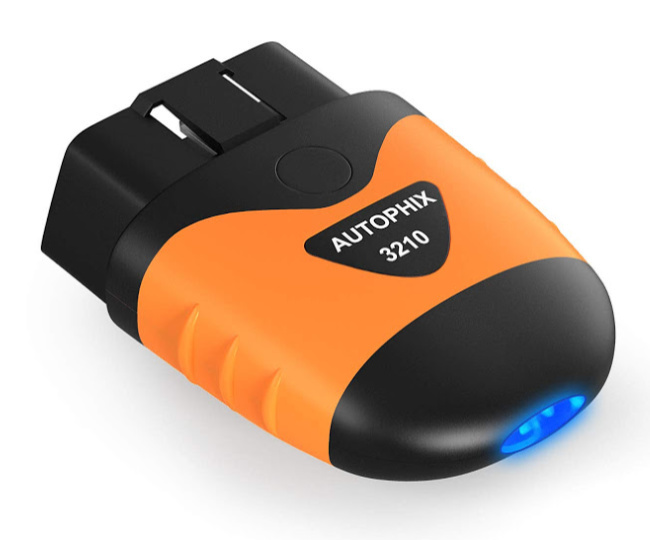 The AUTOPHIX 3210 Bluetooth OBD2 Enhanced Car Diagnostic Scanner can scan and identify the issue(s) that your car may be having so that you can get it fixed without worrying about being taken advantage and paying for repairs that you do not need. You may even find that it is something that you can take care of yourself. As you can see… the AUTOPHIX Scanner is very user-friendly and no additional fees are involved to use this gadget once purchased. The APP is free for all to download and all features are unlocked and included. Simply download the APP and plug the device into your car as instructed. Then you start the car, turn your Bluetooth on, open the APP and simply Scan using your phone. That is it! You can also contact them via chat and email if you have any questions which is simply wonderful and helpful in the event that you need it. 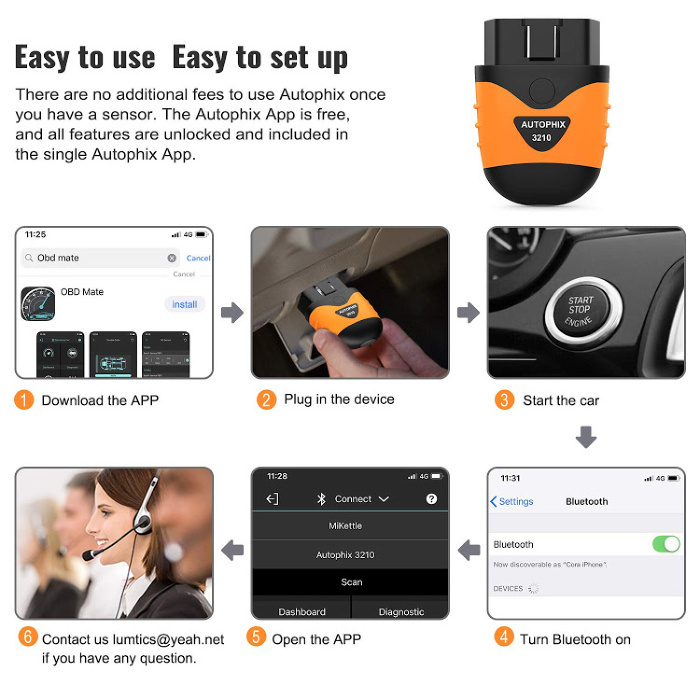 The AUTOPHIX Scanner is a must-have wireless/Bluetooth car diagnostic tool/fault code reader for today’s car owners for sure. This is downloadable on both iPhone iOS and Android and supports all major vehicle brands and models from 1996 and newer. 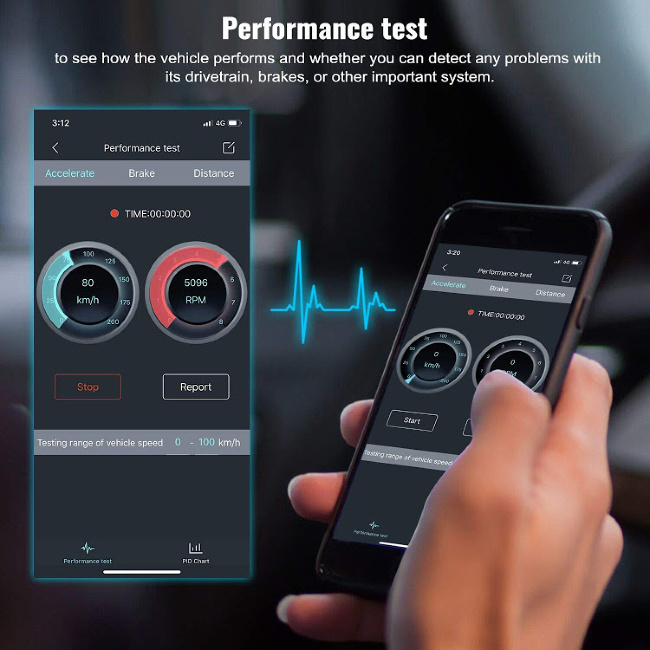 I love that this device is not designed to be only used when you experience a problem with you car but rather you can use it to check on your car’s overall health anytime that you choose by simply plugging the unit in for a quick Performance Test. This will ensure that you car is operating perfectly so that it is dependable and safe to drive for you and your family anytime of the year. The other thing that I especially love about the AUTOPHIX Scanner is that it does help out when you are having an issue with your car. This scanners new technological design and advanced features provide faster and more stable Bluetooth 4.2 connectivity, all packed into one tiny little device that reads real-time data and clears fault codes in record time. I love that this device doesn’t just read vehicle malfunction codes and provide you with code definitions, but more importantly… it tells you what the possible problems are with your vehicle which is perfect for someone like myself who knows nothing about cars. 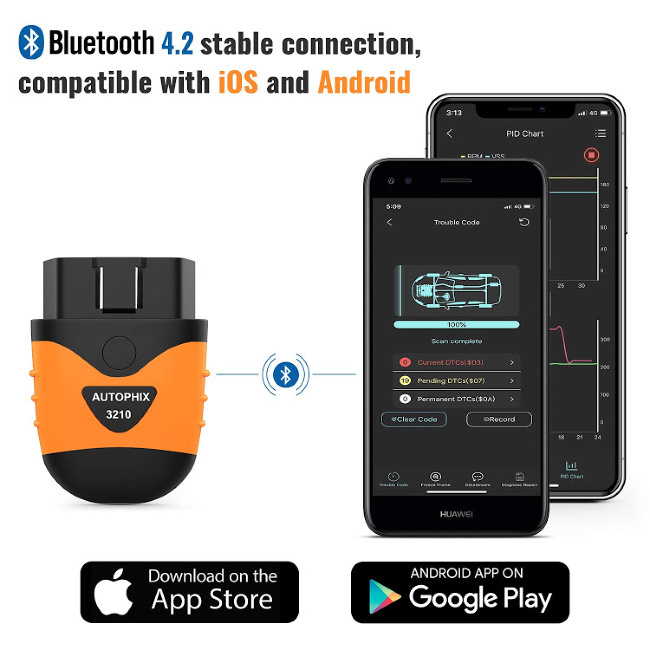 One more thing that I love about this amazing gadget is that it can be used to check on the health of your cars battery such as checking the Cold Crank Amps and Voltage with a simple tap to your phone screen. This is perfect as it ensures that my car is in tip top condition when I will need it the most…. like on a freezing cold winters day. 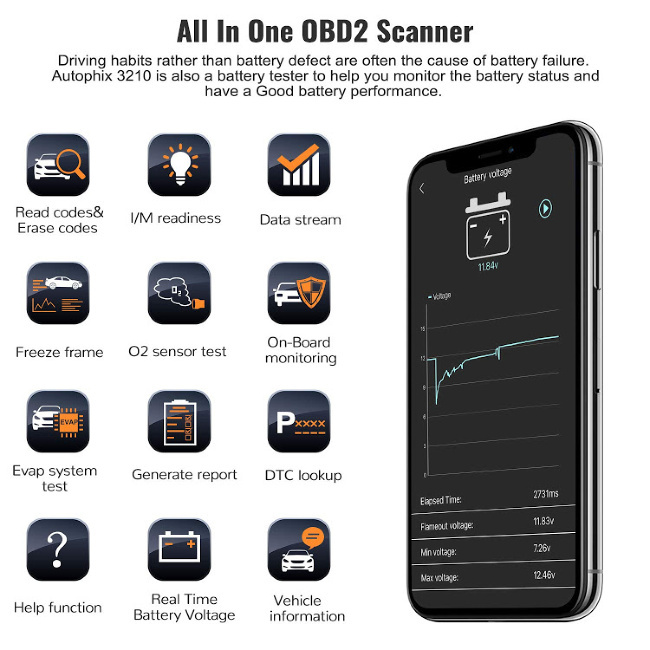 So what do you think of the AUTIOPHIX 3210 Bluetooth Diagnostic Scanner? I am loving it and my husband is glad that I was able to get one as he has been wanting one of his own for quite sometime. It is super easy to use and works so make sure you visit AUTOPHIX online and social media too to see what others think. Right Now You Can Get 20% Off Using Code 2BGYVN5P At The Checkout PLUS There Is A 20% Off Coupon On The Product Listing Page On Amazon So Receive A Total Of 40% Off! Hurry Expired 4/30 ~ Redeem Here. This scanner looks amazing. I like its faster and more stable Bluetooth 4.2 connectivity. For me this would be the thing to have since I know nothing about my car. If something happens or a light comes on, off to the dealership I go. Absolutely amazing. My car is a 2005 and I drove a 2018 rental in March and was blown away at the differences. Cars have really come along way and now little things like this that can diagnose problems? Just incredible!